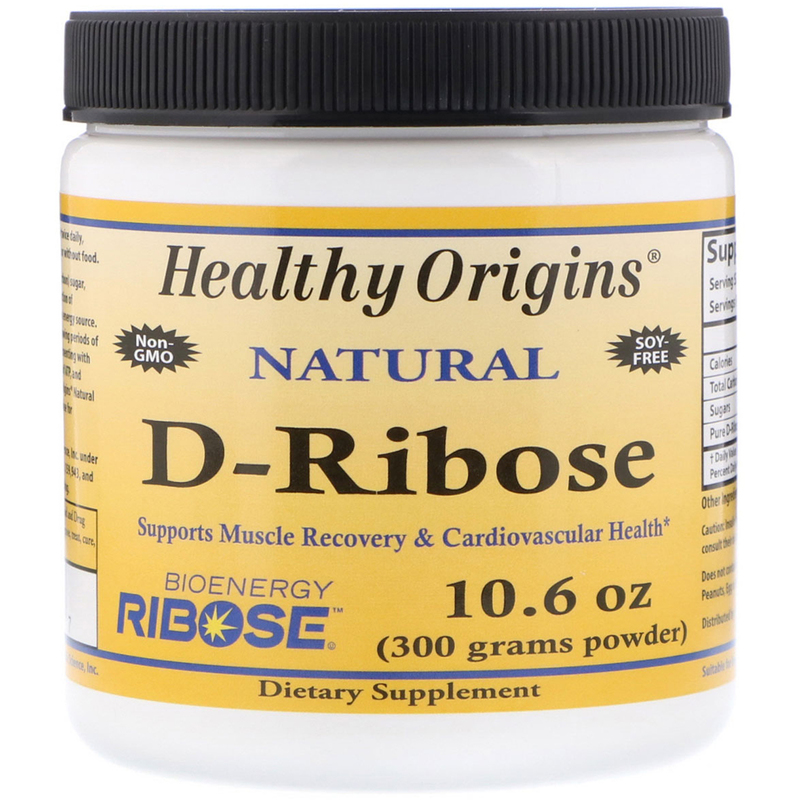 D-Ribose is a naturally occurring pentose (5-Carbon) sugar, which is a primary building block in the production of Adenosine Triphosphate (ATP) - the body's main energy source. ATP levels can become severely depressed following periods of rigorous exercise and metabolic stress. Supplementing with D-Ribose may help replenish depressed levels of ATP, and improve workout recovery. 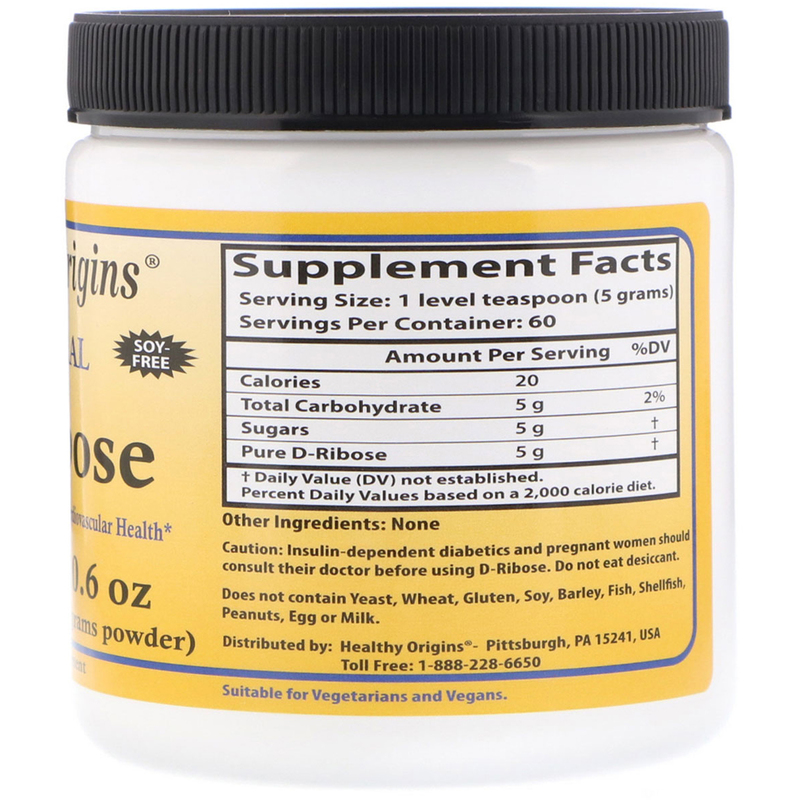 Consider Healthy Origins Natural CoQ10 or Ubiquinol in combination with D-Ribose for enhanced cardiovascular support. Take one (1) level teaspoon once or twice daily, mixed with juice or other beverage. Take with or without food. Does not contain yeast, wheat, gluten, soy, barley, fish, shellfish, peanuts, egg or milk. Caution: Insulin-dependent diabetics and pregnant women should consult their doctor before using D-Ribose. Do not eat desiccant.